No, . . . not a weekend at the local park. Not cruising in a self-contained recreational vehicle with kitchen and bathroom. In fact, not even staying in a campground of any sort. We’re talking about car camping, . . . loading up the car or pickup truck with camping gear, food, water, and driving deep into the outback to camp for days, weeks, even months at a time. 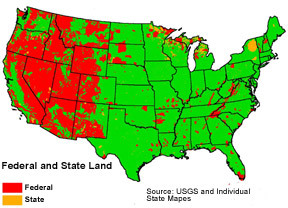 And with hundreds of millions of acres of federal public land throughout the western United States to choose from there are plenty of places to go. There are over fifty million acres of National Forest and Bureau of Land Management lands in Oregon and Washington State alone and that’s in addition to the four national parks also located in these states. Almost all of the public land outside of the national parks is open to camping (and hunting, fishing, climbing, boating or lazing around for weeks). Much of it is permeated by back roads and highways that can get you to some remote areas, and it has forests, mountains, canyons, deserts, lakes and rivers. There is no, or very little cost to visit these lands except for minimal fees at some campgrounds or to park at maintained trailheads. You can take whatever you want limited only by the storage capacity of your vehicle, and you can increase that by strapping an extra storage module on top. That means you can take some luxuries like inflatable mattresses, large roomy tents, cooler full of steaks and beer, and maybe a toy or two such as a kayak or mountain bike. The essentials are planning, preparation and common sense. Let’s talk about the vehicle first. You don’t need an expensive four-wheel drive vehicle to car camp. They’re nice, but not necessary and there aren’t that many roads where you need four-wheel drive at all. What you do need is road clearance (distance from the road surface to the frame of your vehicle), the higher the better. I also prefer a standard transmission vehicle which I can jump-start in case of dead battery, but that too is not necessary. That low-slung Mini probably isn’t a good choice, but I camped for years out of a 1985 Toyota Corolla in the deserts of Death Valley, along remote logging roads below Mt Rainier, and deep in the isolated canyons of eastern Oregon. The point is, know your vehicle’s limitations and make sure it’s in good running order. You HAVE to have good tires including a good spare, jack and the knowledge to use them. Check the condition of your spare tire before you leave on your trip! I bring a few emergency items like a hand full of basic automotive tools, a set of jumper cables, a tubeless tire repair kit, and an air pump that operates off of the car battery (handy for pumping up air mattresses or inflatable boats too). Occasionally if I’m going far into the outback for extended periods of time I’ll strap a steel five-gallon “jerry can” full of gasoline onto the vehicle just in case. Maps, . . . paper and ink maps that is. For car camping Global Positioning System (GPS) and mobile phone apps are unreliable; only as good as the information loaded into them, batteries die or signals weaken, and they can’t tell you about obstacles along your route. Use them only to supplement the information in your paper maps and frankly, basic knowledge for using an old fashion magnetic compass is much more useful than GPS or Google when you’re out there in the outback. Those dirt roads can get you many, many miles from any kind of services, into areas with little or no traffic, and they can become impassable after rainstorms. Many areas are networked with a confusing array of back roads where you can easily get lost. So, a good map showing all the secondary roads and at least major topographic features is essential. Fortunately the U.S. Forest Service and Bureau of Land Management have excellent regional travel maps of the areas they administer. When you’ve selected the area you want to go, call the regional forest service or BLM Ranger District to confirm local road conditions and if there are any road closures before you drive a hundred miles only to find your way is blocked (see U.S. Forest Service and BLM websites for road conditions, regional camping or backpacking stores sell forest maps). Shelter: Some folks rig up a bed in their pickup truck or SUV, but I prefer a tent. For car camping you need not cram into a tiny 2-pound backpacker’s tent. Since weight isn’t a consideration when car camping you might as well be comfortable and there are a range of inexpensive, roomy, 2, 3 and 4 person tents available at outdoors stores like WalMart, Big-5, K-Mart and others, or online at REI, Campmor or Amazon.com. Eureka, Coleman and Kelty make decent family size tents in the $100 to $250 range. Sleeping: You can bring an inflatable air mattress or a foam one (don’t forget the air pump and you’ll be a happier camper if you bring one that operates off of your car’s battery instead of your arm or leg muscles). For bedding you can just bring sheets, blankets and pillows from home, or use sleeping bags. Eating: One of the joys of car camping is being able to bring lots of fresh food. Nothing like a steak and salad while watching the sun set over the mountains, fresh fruit and coffee in the morning. But plan your meals rather than just throw a bunch of food in to the cooler and hope you don’t run out. Food is only limited by your imagination, but meals pre-cooked at home are easiest to deal with in camp. I’ve seen more than one car camping trip end early when there was nothing left to eat but warm beer and mayonnaise. Cooking: The old standby, the Coleman camp stove, is still the best for car camping. Two or three burner, propane gas, it’s dependable and easy to find fuel for. Bring a few pots, pans, cutlery and a cutting board from home (or buy inexpensive sets for the trip). For longer trips I’ve found aluminum or porcelain plates and bowls actually more convenient than paper ones. Yes, you have to wash them but you don’t have a huge, stinky garbage bag to haul around and solid dinnerware doesn’t get soggy and spill your dinner into the dirt. A couple of plastic tubs for dish washing (one for soapy water, one for rinse water) can serve double-duty as storage for cookware and dry goods. If going to remote locations, bring a table. You’d be surprised at how inconvenient everything is without a table. I use a Camp Time Roll-A-Table, but there are lots of inexpensive folding or roll-up tables available on line or at any large discount or warehouse store. And don’t forget the folding or roll-up camp chairs. If you aren’t camping near a water supply bring at least two 5-gallon sturdy, screw-top water jugs. You’ll be amazed at how much water you use every day, especially if you have to haul it from some distance away. And, while you’re packing your Coleman stove, throw in a Coleman camp lantern too – it gets dark out there. Clothes: Even deserts get cold at night, so bring a light rain jacket, long sleeve shirt and long pants which are also handy to keep bugs and sun off of you, and don’t forget a hat and sunglasses. Since you are car camping, you can bring luxuries like those comfortable jeans and cotton T-shirts. The rest is standard camping clothes as described in the “clothes” section of Packing for the Wilderness in Tips & Traveling. Planning, Preparation & Safety: Put your sleeping gear and anything else you don’t want covered in dust inside of plastic bags; lawn & leaf bags work well. Road dust will find its way into even a tightly closed car trunk. Pack a thoughtfully considered first-aid kit. Is there poison ivy where you’re going? Anyone allergic to bee stings? Pack the appropriate medicines for them. At a minimum I pack a couple boxes of large-size band-aides, a roll of gauze and medical tape, a compression bandage, a tube of Neosporin, aspirin tablets, antacid tablets and Ibuprofen tablets. A cell phone is good, but you can’t always get a signal in the outback, so be aware you might have to hike up to a high point to make a call. A flashlight, or better yet a backpacker’s headlamp is real handy. The rest is incidental items, but remember, you’ll probably be far from a store and anything you forget you may have to do without. Got sunscreen? Toilet paper? Extra flashlight batteries? Such ordinary items are easy to forget but sorely missed when you discover you forgot them. And remember to keep food, including your cooler, inside the car. Even in the driest desert there’s always some critter around that would love your dinner more than you. And the bathroom? Well, I can get by with a handy bush or a quickly dug cat hole, but the more particular among us may require more accommodating facilities. Outdoors stores, especially those selling hunting equipment such as Cabelas’s or Campmor, or RV supply stores sell portable backwoods toilets ranging from luxurious chemical flush systems with small catch tanks to simple metal frames fitted with a toilet seat and either equipped with a heavy duty, re-sealable “blue bag” suspended below or bagless and placed over a latrine “cat hole.” The tank or bag systems leave no trace in the outback, but you have to dispose of the waste at a dump station at a RV park or rest area after the trip. If you don’t want to deal with this, then go with the simple frame-and-seat-over-a-hole system, but don’t forget to pack a small shovel and cover your latrine hole with at least six inches of dirt or animals will spread paper and debris far and wide. 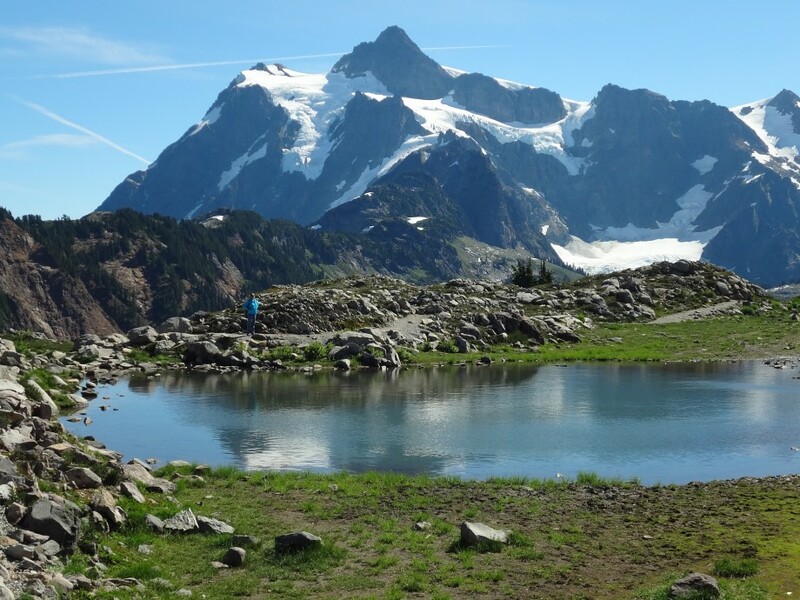 The last word – bring enough sturdy plastic trash bags to pack out whatever you pack in and please be diligent about keeping a clean camp and leaving no trace of your visit when you leave. I’ve never understood how people can go to great lengths to get into a beautiful place and then trash it out, yet I see it all the time. Some of the trashing is simply unawareness rather than carelessness but remember, even organic trash lasts for years in the outback; toilet paper up to a year, an orange peel over five years, a cigarette filter for twenty, a plastic bottle indefinitely – so please, take it all with you. That’s the basics. Car camping can be a great introduction to the wilder side of America; a compromise between lugging a backpack deep into the wilderness or camping in a noisy, crowded campground. After a couple trips you’ll refine your gear, find your favorite places, and be tuned into the tricks of the trade. But be forewarned, it can be addictive.